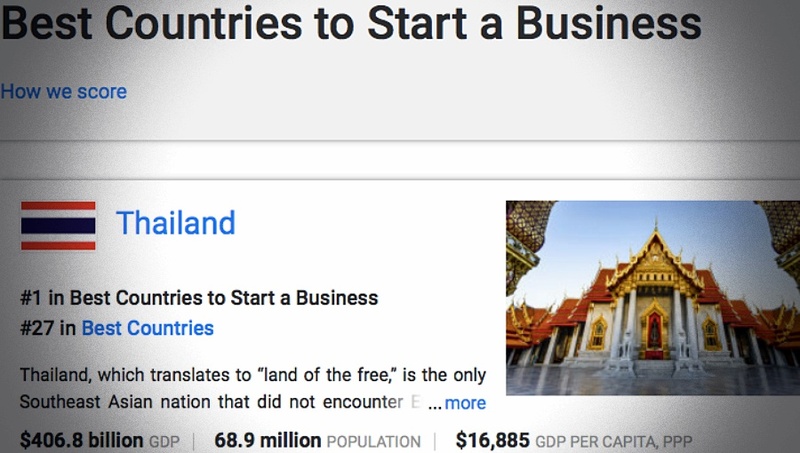 Thailand was voted the Number One ranking of the list of Best Countries to Start a Business for the second year in a row out of a total of 80 countries surveyed by the US News and World Report. 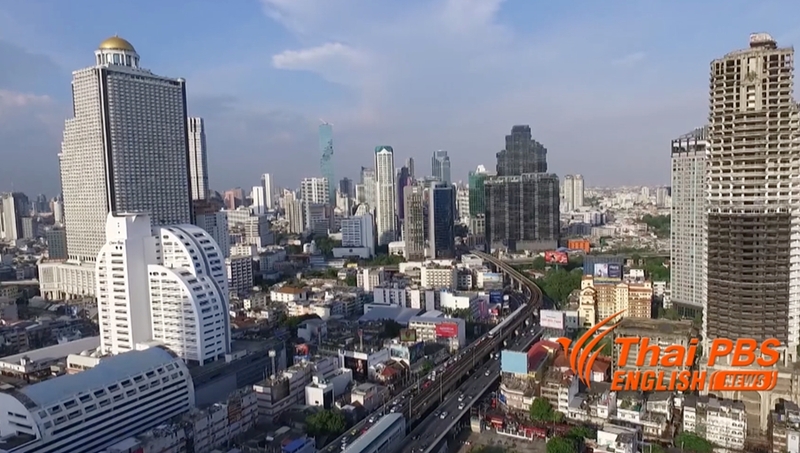 Commerce Minister Sontirat Sontijirawong said Friday (Jan 26) that the US media company also placed Thailand on the 8th ranking of a list of 25 Best Countries to Invest In. He attributed Thailandâs improved ranking in the two categories to the Commerce Ministryâs cutback on the redtapes for the registration of new business in Thailand and the expenses for registration for business operators. âS tarting a business in Thailand takes about five days, according to the World Bank. New business density is one of the lowest in the region, leaving room for hopeful entrepreneurs. Though ranked among the top affordable country to business decision makers, companies that are not majority Thai owned are subject to the Foreign Business Act, under which many endeavors that could attract entrepreneurs to Thailand are restricted, including rice manufacturing and tourism,â the U.S.News and World Report said in the Best Countries to Start a Business ranking report. The improved ranking in the lists of Best Countries to Start a Business and the Best Countries to Invest In was a clear sign of the perception of foreign businessmen that Thailand has improved the environments which are favourable for foreign businessmen to start a business or to invest in, said Minister Sontirat, adding that the improved ranking by the US website corresponds with the World Bankâs last November 1 report on worldâs rankings of countries with Ease of Doing Business which placed Thailand on the 26th ranking. Currently, the US was ranked the worldâs third biggest trading partner with Thailand and the first for countries in northern America. Also, USâs foreign direct investment in Thailand was ranked the third after Japan and Singapore with the value of FDI estimated at US$11.7 billion.